Here are a few quotes from A.R. Ammons re critics and art making. They are taken from his introduction to The Best American Poetry 1994. The entire introduction is worth reading yes. "There is no reason ever in the world for the critic and poet to be at odds, and for the following reason: the primary motion of the poet is to put things together and touch a source that feels like life, at times even more powerful than life. It is a synthesis of analogies and associations that promotes, in the best hands, and even when disjunctive, a sense of renewed vitality. That is what one feels. That is a fact whether noticed by poet or critic. The critic makes another kind of synthesis; his or her synthesis comes as a result of what can be added up after taking things apart. What is added up, as in dissertations and works of critical discourse, is thought to be subtler and finer than the work that gave rise to it. But that cannot be, because the two modes of thought, the creative and the analytical, are not comparable; they are apples and oranges." 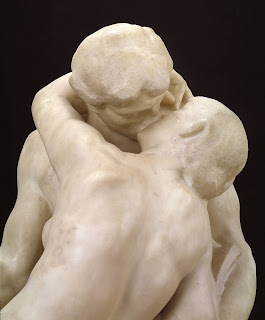 "Thousands of papers may be written about Rodin and many of them may know more about Rodin than Rodin did but they will not resemble sculpture. Rodin made the sculpture. No one else did." "We will dance and sing. Sometime later we will talk about singing and dancing, and in that effort, we will need all the help we can get from the critics or anyone else."